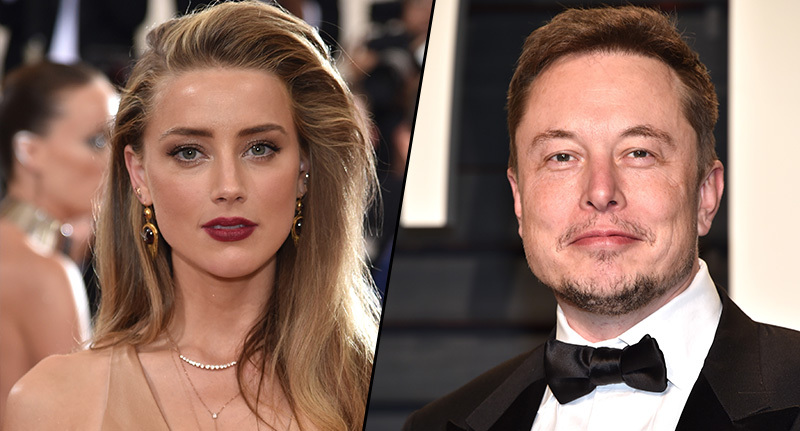 Amber Heard and Elon Musk didn’t want to leave any room for misunderstanding about their romance after they both posted similar ‘cheeky’ photos online. Heard has been dating the Tesla CEO and Neuralink founder in secret, but now they have made their relationship public after posting a photo on both their Instagrams of Elon Musk with a big red kiss on his cheek. Heard captioned the photo ‘cheeky’, while the 45-year-old billionaire said he was ‘having a moo moo at Moo Moo Gold Coast’, making a distinct change from his gallery of cars and spacecrafts. Elon surprised Heard in Australia while she was filming upcoming DC Comics film Aquaman, and they enjoyed a day out zip-lining through the trees at Currumbin Wildlife Sanctuary on the Gold Coast. The photo they posted is from a dinner with the film’s director James Wan. It was a rare glimpse into Musk’s personal life. Wouldn’t it be great if we could connect his brain to a computer and see what he was thinking?